Basic File Operations Create,Write,Read,Append and Delete In PHP | Web and mobile development tutorials. Thought we don’t use file operation regularly in programming, we should learn some basic file operation. In some cases these file may simplify our complex problem. 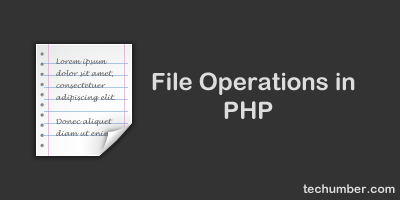 In this lesson we will learn basic file operation in our PHP. //opening a file in append mode.